Tronex 7223 model taper Relief cutter with pointed head and low profile. 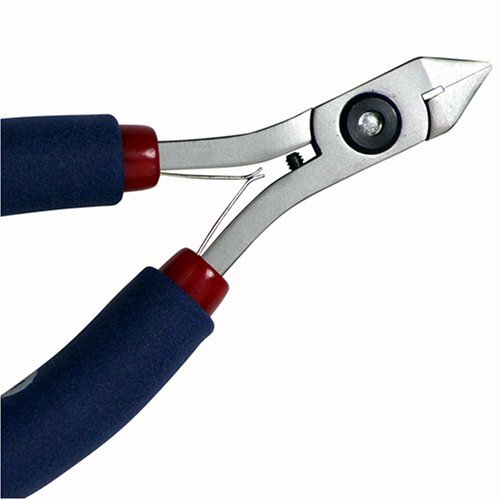 4 1/2 inch long ergonomic handles, razor flush cutting edges heat treated to HRC 63, cushion grips (ESD safe) with SS Leaf springs, individually tested, adjustable set screw for anti-dulling protection, cutting capacity 10mm- 90mm Soft copper wire. Made in USA. If you have any questions about this product by TRONEX, contact us by completing and submitting the form below. If you are looking for a specif part number, please include it with your message.